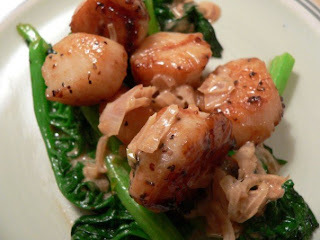 - 1 pack of ~ 1 dozen fresh sea scallops (wash and dry before using). Sear scallops on high, ~ 1-2 minutes per side. Flip scallops when top side appears cracked. Don't overcook! Deglaze pot with apple juice. 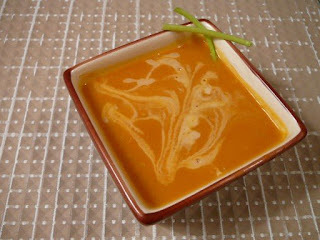 Make sauce base of sauteed shallots, cream, Calvados. Add deglazed juice to sauce base. Add scallops to spinach, top with sauce. Not much to this recipe. Sear steaks, deglaze pan with some whiskey, sweet vidalia onions, and add to a cream base. 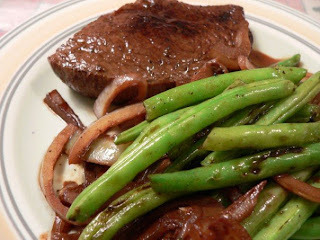 Serve with green beans. The key to better presentation is to serve smaller chunks of steak, which I did not do. Hence mine looks a bit messy. Used the recipe from Fine Cooking. I would increase the cream amount slightly. Heat cream in saucepan, scrape vanilla beans into pan. Simmer, and remove from heat. Add in Grand Marnier. Whisk yolks and sugar together, and pinch of salt. Add slightly cooled cream mixture to yolks. Temper carefully. Try not to beat too much air into the resulting mix. Prepare a baking pan by filling it with boiling water. 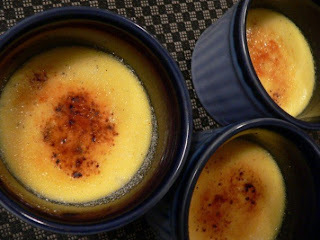 Pour creme brulee mixture into ramekins, and place into pan with boiling water. Cover with aluminum foil, and bake in oven at 300 F for 40-55 minutes, or until set on the sides. Refrigerate overnight, or up to 2 days. Sprinkle with sugar, glaze with chef's torch. 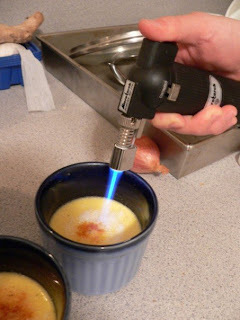 The Microtorch from Oggi works great! Feels nice, not too cheap in the hand. I made a pate sucree ginger crust for the cheesecake, but it didn't turn out as well as I was hoping, so I just used gingersnaps for the crust instead. 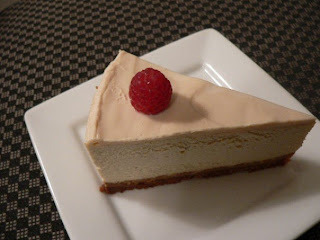 Or ginger powder with graham cracker crust works well too! From Bon Appetit, Feb. 2007 issue. This was my best ever pastry cream yet. 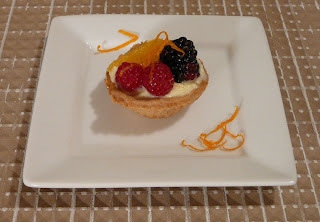 The vanilla beans made it extra special, and the ginger pate sucree that I had originally used for the cheesecake crust worked well here too. Combine in the usual manner like all custard bases. Boil for 1 minute- when heating, heat over a small, even flame, or risk over-cooking the eggs. 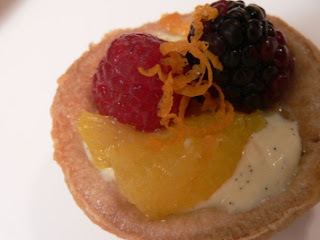 Prepare tart, glaze with apricot jam.